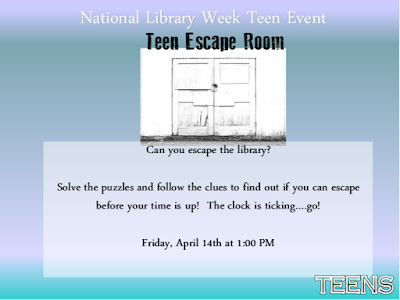 News at Spencer Public Library: Teen Escape Room -- TODAY! 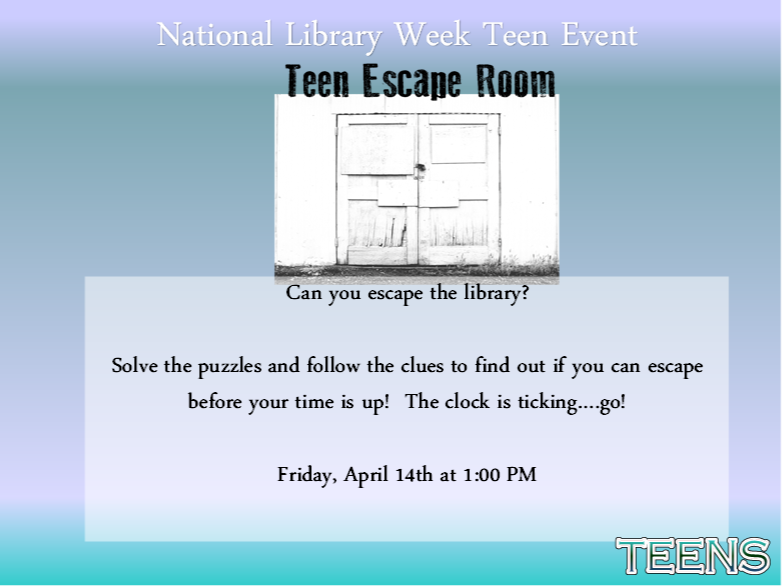 Teen Escape Room -- TODAY! Solve the puzzles and follow the clues to find out if you can escape before your time is up! The clock is ticking….go!